Our worst dining experience in Mallorca ever was at this restaurant, La Terraza restaurant just a few miles outside Port Alcudia in Alcanada. 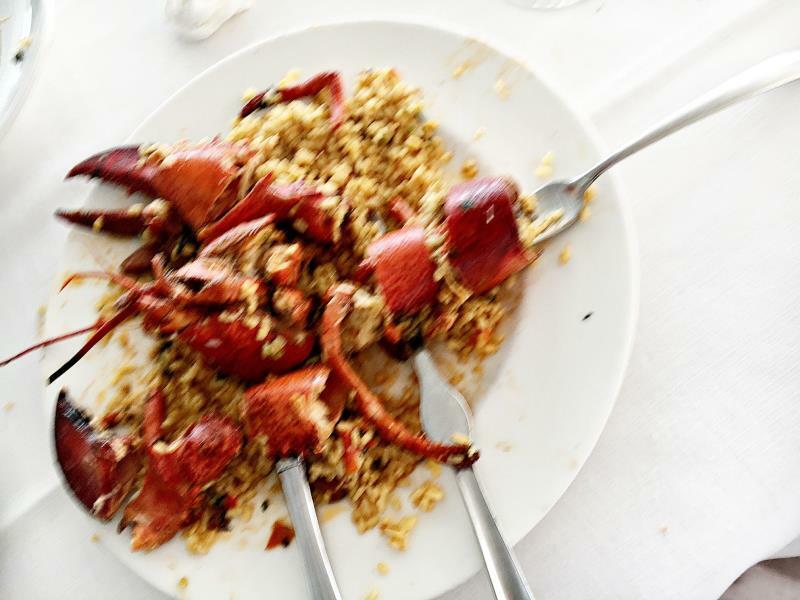 Very simply, a lobster dish for two with rice was ordered. It was served chopped up but soon became apparent that the lobster tail was missing. Asking if it was still in the pan waiting to be served, we were told that there is no more lobster left, you had a whole one. No, there was no tail. The head waiter argued and so did the manager so to prove the point we reassembled the parts and took a photograph. La Terraza is certainly not recommended by The Mobile Food Guide and this entry remains as a warning to others. How many people have been treated to this behaviour? Unfortunately for the restaurant, on this occasion they tried it on the editor of The Mobile Food Guide. They should be ashamed. Before leaving we saw the manager sit down with two other people, open a magnum of Cava and was served a langoustine cassoulet; could there have been a lobster tail in amongst it? 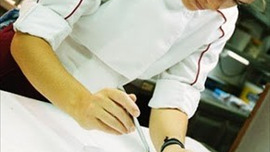 Restaurante Jardín in Alcudia is the showcase for one of Mallorca's rising stars, chef Macarena de Castro, she dazzles diners with her original and rejuvenated creations by taking traditional dishes and reworking them for the 21st century.